My kids love all things Disney and we rarely get to watch anymore unless it is playing on Netflix or Hulu and even then its rare. So what a great way to stay up to date then purchasing the new Mickey and the Roadster Racers: Start Your Engines. 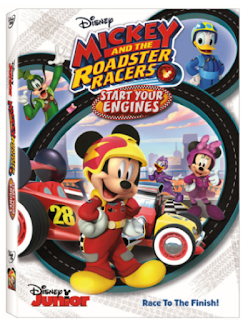 This is a exciting adventure where Mickey gets a jewel and Pete's Cousin steals it setting the group on a adventure to capture Pete's cousin and recuse the jewel. 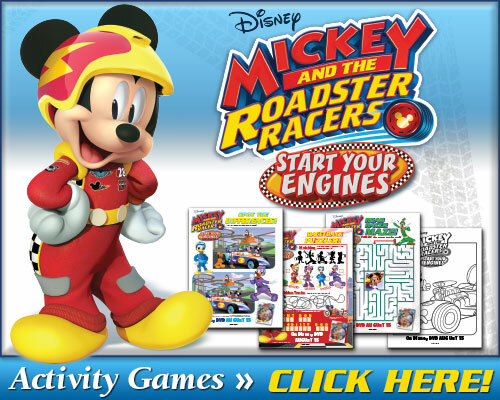 Enjoy some fun activities to gear your child up for the new release of Mickey and the Roadster Racers.